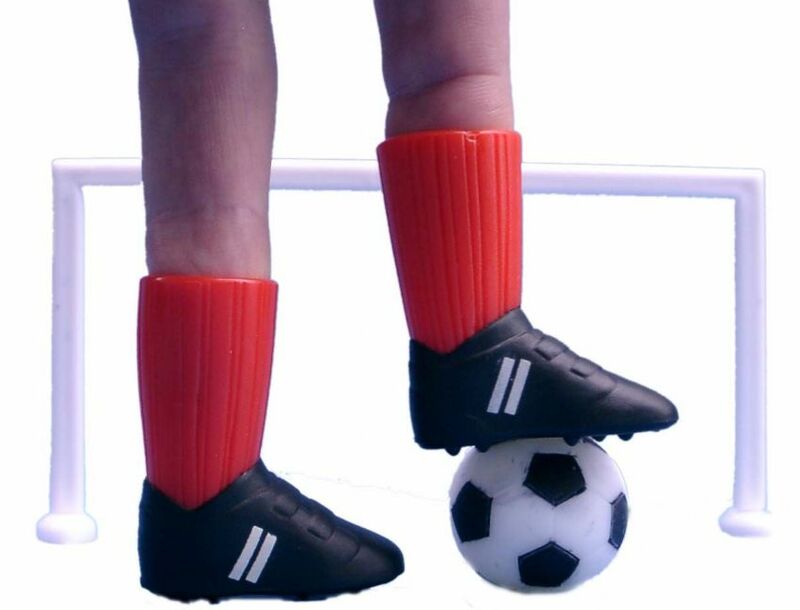 Finger football is a great laugh but make sure you clear the table of glasses before kick off! Boots will fit adult fingers. 1 set includes 1 pair of boots, 1 goal and a ball. Sock colour varies.